We understand that your home is not just about great audio and lighting, but that keeping your home, family and possessions safe is just as important – if not more so. We work with the latest technologies from IP Camera’s through to Access Control systems, that can help protect your home or business and make you feel safer. IP Camera’s allow you to keep checks on your home, whether you are in another room or another country. And not only will you be able to view your cameras in realtime, but the system will record in High Definition all of your camera feeds so you can check back on them at any time. 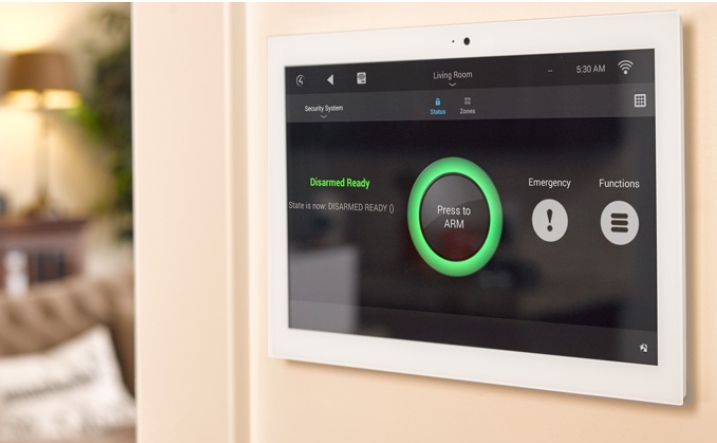 We can integrate in to your alarm system as well, allowing you an elegant and effortless way to arm and disarm your security system from an intuitive user interface on a touchscreen, TV or mobile device. When you leave the home, simply press the ‘Away’ button to switch off all your lights, set the alarm, lock the doors and trigger the cameras. @1_Dickie Happy to come and have a chat. It’s what we do and we’re Devon based!